eco-ideal isn’t just a name – it’s a statement, because this manufacturer believes that our British landscape is worth protecting. So they designed the Eco-ideal range with significantly lower emissions than traditional multi-fuel stoves. eco-ideal are proud to be designing and building their heaters in Britain. Our country has a long history of excellent design and craftsmanship: from Anglepoise to Conran and Ercol, designers have helped to make our homes great. If you appreciate form and function then you’ll love eco-ideal. It’s stylish, solid, and characteristically British. For full details and dimensions please see brochure. This hard-working stove will serve your family for decades – and its classic looks will never go out of fashion. You want a heater you can rely on? Something that’s well made, and adaptable to different fuels? Something that won’t be shut in a cupboard, but will provide a focal point? Well here it is. We’re returning to classic stoves for a reason: they’re stylish, they’re efficient, and they won’t fail in a power cut. The eco 2 produces an impressive 5.kW (max) of heat thanks to eco-ideal Cleanburn technology, which maximises results and reduces emissions. What’s more, you can use it to burn all kinds of fuel – including the branches that you pruned last year*. Forget flicking a switch and adjusting a thermostat, and get back to basics. * Ensure wood is 20% moisture or less. If your room is small or your hearth is narrow, here’s your perfect match. 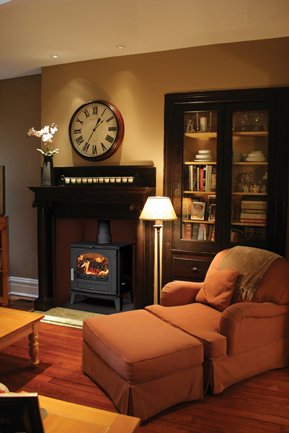 The Eco 4 is our solution to a problem that is familiar in many British homes: awkward room shape, small fireplace. This space-saving room heater is not stingy when it comes to performance. 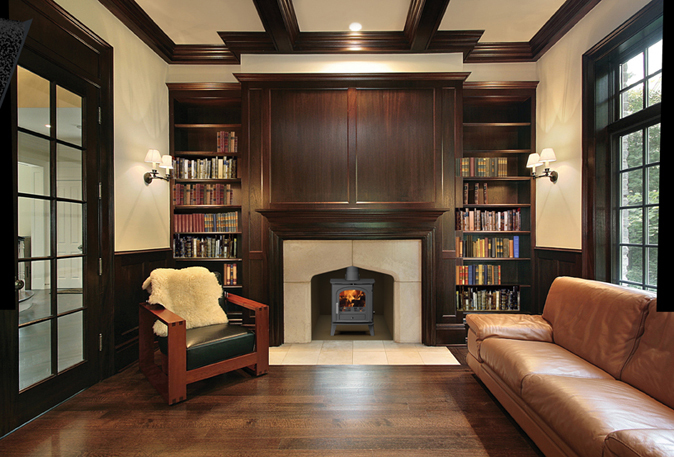 Want a roaring fire, without the carbon guilt? Our biggest eco model blasts out 6.5kW – and it still meets the Clean Air Act requirement*. We don’t mean to boast, but you just won’t find a better room heater than this. 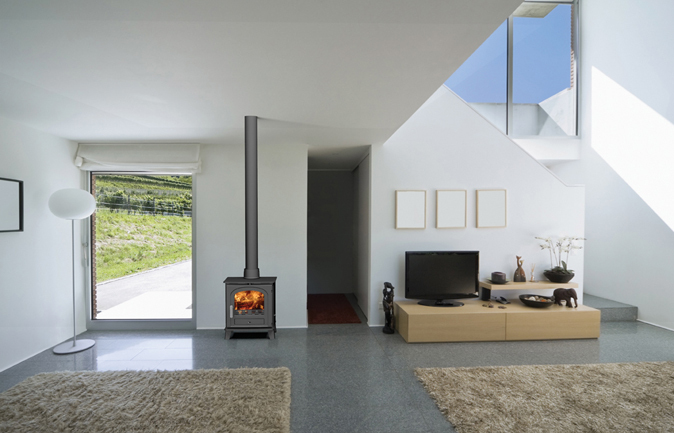 The eco 6 is a medium-sized stove with a very big heart. Load it up with seasoned wood and enjoy a cosy fire with our lowest-ever emissions. You want the best for your family, and we’ve made it happen: you’ll get eco-ideal Cleanburn and Tripleburn technology for performance, plus hot airwash for convenience. Our engineers put their very best work into making the EcoFamily a British best. What better recommendation could there be? * Letter of recommendation meeting DEFRA requirements subject to approval in October 2011.